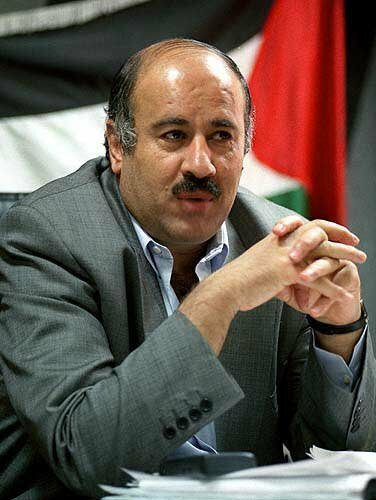 Jibril Rajoub is a Palestinian political and military leader who is seeking a more peaceful coexistence for Israelis and Palestinians. Rajoub was born in Dura, near Hebron, in the West Bank in 1953. At the age of 15, Rajoub was sentenced to four months in prison for aiding fleeing Egyptian officers. During his four months in prison, he met a Fatah leader who convinced him to join the organization. Shortly after, he was arrested for throwing a grenade at an Israeli army bus near Hebron and sentenced to life imprisonment in 1970. While in prison, Rajoub learned Hebrew and with the help of a cellmate translated The Revolt by Menachem Begin into Arabic. He also led protests and hunger strikes.